Want to indulge your inner geek while having fun with your kids? Then you need to check out Ozobot, a tiny programmable robot that can help introduce your kids to coding (or programming) – which (if you don’t know) is all the rage. 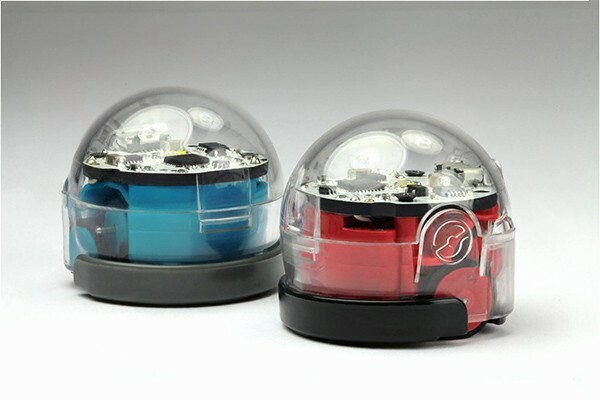 The key to Ozobot’s functionality is the photo sensor that allows it to follow lines and respond to basic commands depending on the colours it passes over. By reading different colors on a line Ozobot can speed up, slow down, change direction and even change colour. All Ozobot needs is a level surface with a line thick enough for it to follow. There are a number of ways to play with Ozobot. By simply drawing lines on a blank piece of paper with marker pens or by placing the little gadget on a screen – such as your iPad, and getting it to follow the lines you draw. To get the most out of it the Ozobot website has hundreds of codes – really just simple combinations of coloured dots, to help you get going. You can then get creative and design your own games – such as a maze for Ozobot to navigate.